The TLX isn’t even out of the toddler stages yet, but it’s already asserting its dominance in a segment that contains models like the Audi A4, BMW 3 Series, Mercedes C-Class, and even models like the Jaguar XE and Alfa Romeo Giulia. With a segment full of heavy hitters, you have to stay fresh and alert, and when the doors opened at the 2018 New York Auto Show, it’s clear that Acura is doing just that with the TLX. 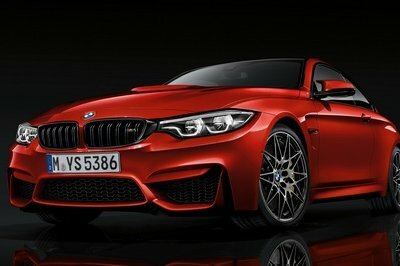 The new front fascia provides distinctive lines with a fresh look down below. The corner inserts get new LED fog lights and chrome surrounding trim. This is the icing on the cake, however, as the new precision grille stands out indefinitely in comparison to the current model. It’s wider, taller, and outlined in a healthy dose of chrome. Tying the whole front end together is a new hood with muscular lines and a pair of updated Jewel Eye headlights. 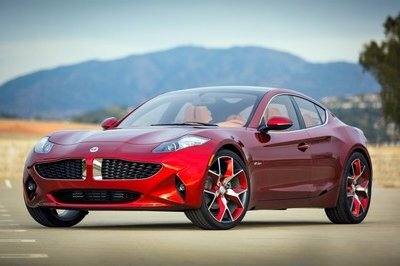 The side profile gets a new chrome insert along the side skirts while the rear end gets a restyled fascia with a diffuser-like element at the bottom, two rectangular exhaust outlets, and a pair of chrome inserts that match those on the front fascia. These updates definitely make the car more attractive, but also give the TLX a significant advantage over the competition. But, there’s more. All V-6 models can now be equipped with SH-AWD while the Technology Package now offers those chrome side sill garnishing, new seats with contrast piping and stitching, and a thigh extension on the driver’s seat. The Advance Package adds trapezoidal fog lights, surround view camera, wireless charging page, ambient lighting, heated steering wheel and rear outboard seats, rear spoiler, and folding side mirrors. The TLX doesn’t get much in terms of interior updates, but that’s okay because it’s already right on par with anything Audi, BMW, or Mercedes has in this segment. The 2018 TLX, however, will get an update dual-screen infotainment system called On Demand Multi-Use Display 2.0 (OPMD 2.0) This interface has improved software that offers better response time and easier-to-use menus. Acura claims that it’s 20 percent faster than the system found in the 2017 and older TLX. The seven-inch touchscreen unit is also said to be more responsive and has been repositioned to be within comfortable reach of both front occupants. The new system features Apple CarPlay, Android Auto, and Sirius XM 2.0 capabilities as standard equipment. On the safety front, the TLX comes standard with the AcuraWatch safety suite. This includes collision mitigation braking, automatic emergency braking, forward collision warning, lane keep assist, adaptive cruise control with low-speed follow, and road departure mitigation. 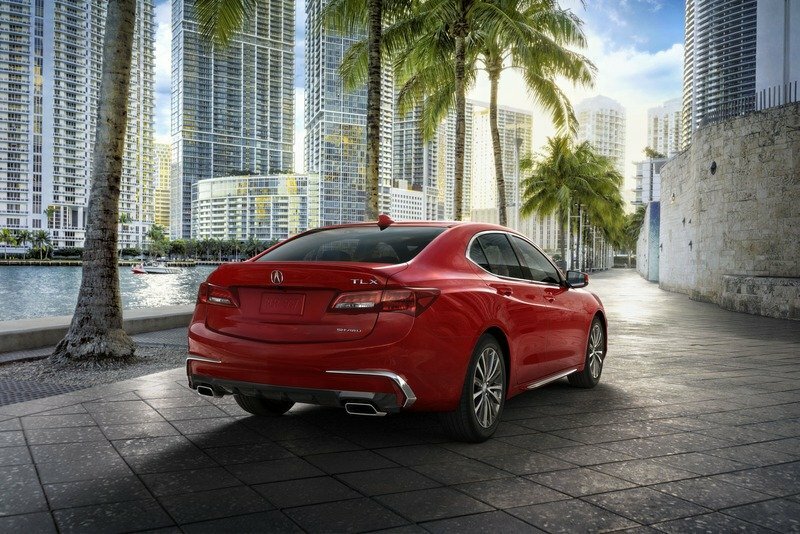 For those of you who aren’t aware, and are really concerned about safety, this suite makes the Acura TLX the only vehicle in its class with crash avoidance and active assist features as standard equipment. I don’t know about you, but that sounds like shots fired at the Germans to me. 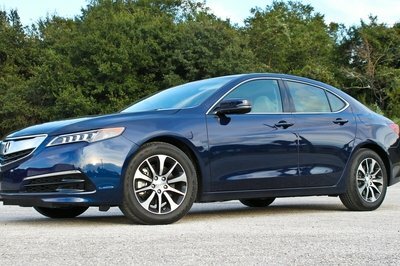 What do you think of the updated TLX? Let us know in the comments section below. 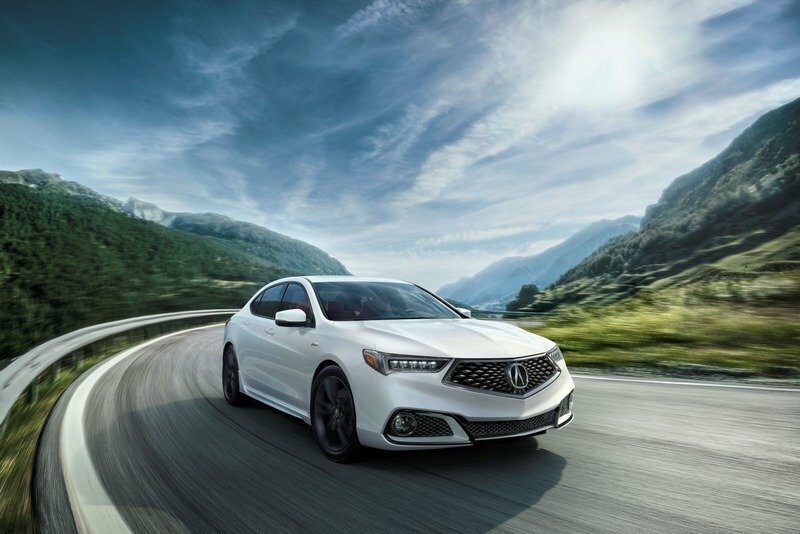 Acura has unveiled a refreshed and significantly enhanced 2018 TLX performance luxury sedan, delivering the brand’s Precision Crafted Performance design direction to its core sedan. The all-new TLX A-Spec takes the sedan’s design in an even more emotional direction, further broadening the brand’s appeal to younger buyers. 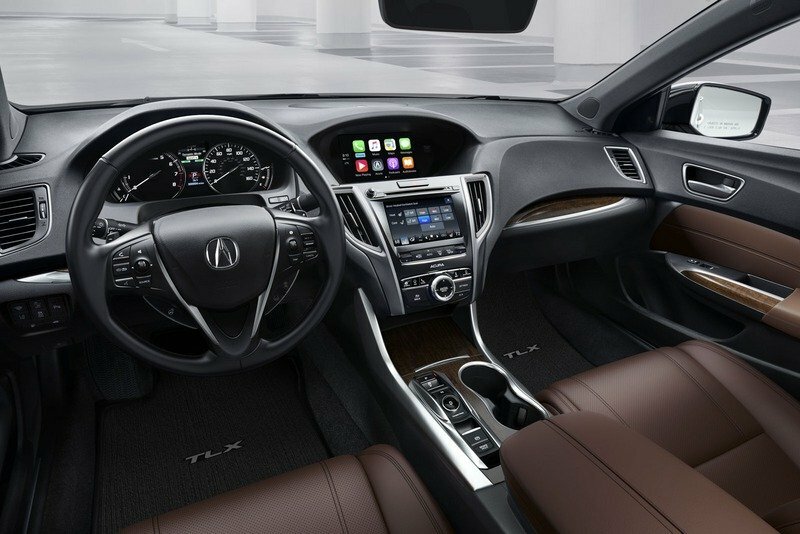 The Acura TLX also will be one of the most technologically advanced and well-equipped vehicles in the segment with new technology features including Apple CarPlay™, Android Auto™ and AcuraWatch™ standard on all grades. The 2018 TLX is slated to go on sale at Acura dealerships nationwide in June. The 2018 TLX boasts a more aggressive and sporty look inspired by the Acura Precision Concept that debuted last year, a design direction that has successfully influenced the styling of the 2017 MDX luxury SUV. 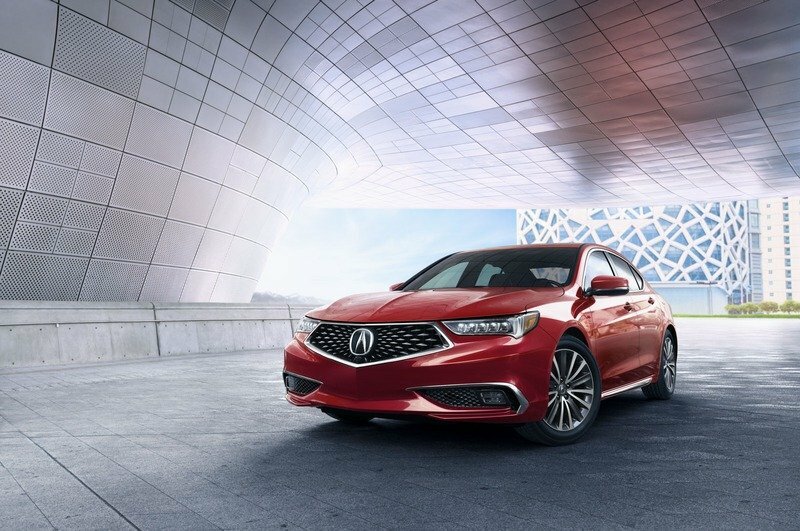 Acura’s signature diamond pentagon grille, paired with changes to the sedan’s stance, proportion, wheels and sheet metal boosts its presence on the road. 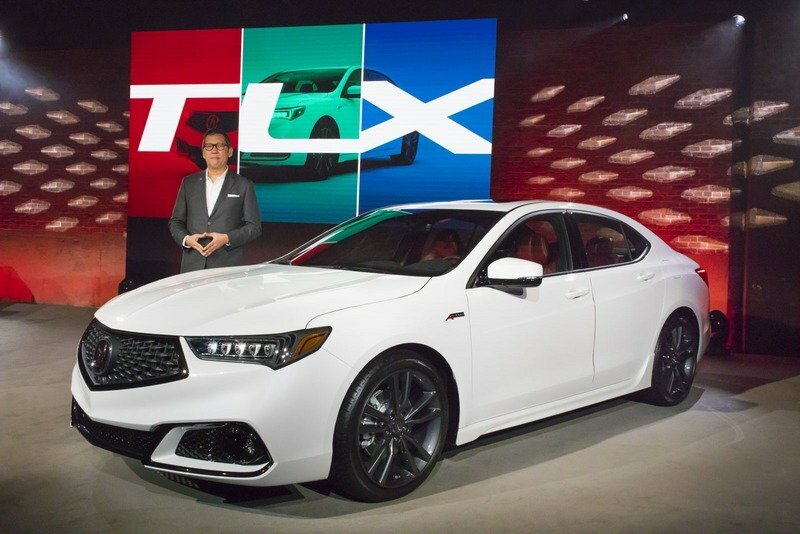 "We’ve really upped the ante in terms of styling, emotion and road presence, more effectively communicating the TLX’s dynamic capabilities," said Jon Ikeda, Acura vice president and general manager. 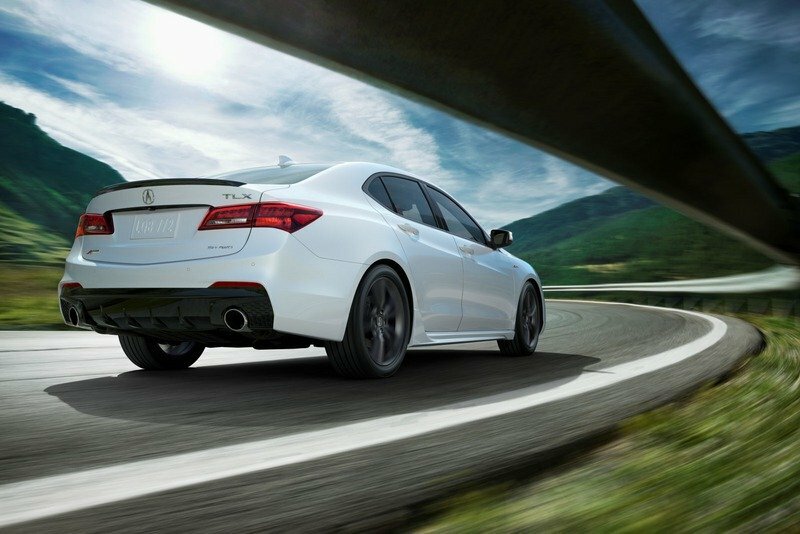 The V6 TLX models add an aggressive, refreshed rear fascia with exposed, rectangular dual-exhaust finishers, rear diffuser and standard 18-inch wheels. The V6 TLX with Technology Package adds a new chrome side sill garnish, all-new seats with contrast piping and stitching, and a power-operated thigh extension on the driver’s seat. 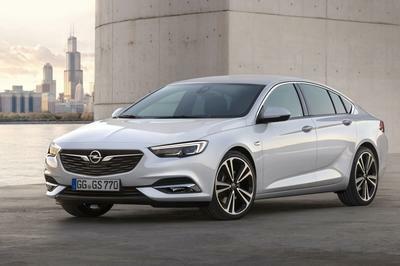 The Advance Package gains additional technology including trapezoidal LED fog lights, Surround View Camera system, built-in wireless charging pad, white LED ambient light piping in 10 locations throughout the cabin, a heated steering wheel and heated rear outboard seats, a body-colored decklid spoiler, and power-folding side mirrors. Reflecting Acura’s Precision Crafted Performance DNA, the new TLX V6 A-Spec is available in two-wheel drive and SH-AWD™ configurations, adding character and performance inside and out. An exclusive front fascia, round LED fog lights, aggressive side sills, rear diffuser accented by large, round dual-exhaust finishers and gloss black decklid spoiler creates an even bolder character. Exclusive, dark finish 19-inch wheels paired with wide 245-series tires complement a sport-tuned suspension with more aggressive damper settings and retuned electric power steering for a sharper, more precise handling experience. TLX A-Spec models with SH-AWD also receive a stiffer spring rate and rear stabilizer bar for improved body control. Gloss black trim and A-Spec badging on the rear decklid, fenders, side sill garnish and steering wheel completes the look. 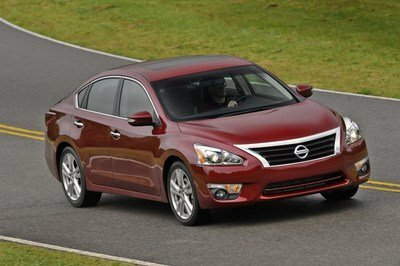 On the inside, a host of sport-oriented refinements and premium features include exclusive leather seats with increased bolstering, red driver’s meter highlights, brushed aluminum-look interior trim, and a thick-rimmed sport steering wheel. 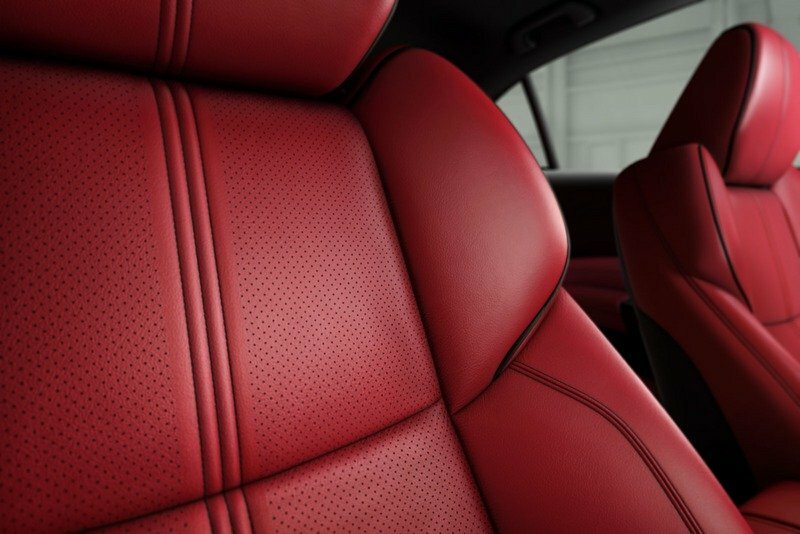 Two A-Spec exclusive interior color choices are offered: Red leather or Black leather with Alcantara™ seat and door inserts. Premium enhancements borrowed from the top trim Advance Package include wireless charging pad, ventilated front seats and red LED ambient light piping (white on the Advance Package). With its unique AcuraWatch™ suite of technologies, the 2018 Acura TLX is the only vehicle in its class with standard crash avoidance and active driving-assistive features. AcuraWatch™ includes Collision Mitigation Braking System (CMBS) with automatic emergency braking, Forward Collision Warning (FCW), Lane Keeping Assist (LKAS), Adaptive Cruise Control (ACC) with Low-Speed Follow (LSF) and Road Departure Mitigation (RDM). AcuraWatch uses a millimeter wave radar and monocular camera sensing technology to detect other vehicles as well as lane markings and can help intervene to prevent or mitigate the severity of a collision. With Adaptive Cruise Control with Low-Speed Follow and Lane Keeping Assist, AcuraWatch can significantly decrease the driver’s workload during freeway cruising by maintaining a set speed and following interval, initiating both braking and throttle inputs, and adding steering input to help the driver maintain their position in the detected lane.